Well dear ones, we are now only a couple of months away from the launch of our 66th annual camp season. We are committed and dedicated to serving the Lord in ministering the gospel of the glory, only, of the Lord Jesus Christ unto 6 to 12 year old children. 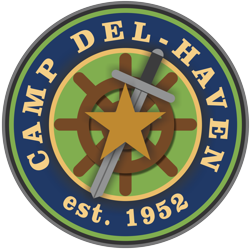 This has been, and still is, the primary purpose of the existence of Camp Del-Haven. God has sustained us all these years. We truly do need your continual prayers for the spiritual fruitfulness of our faithful endeavors. God has ordained it for prayer to be a means of His accomplishing what He wills. That being said, we humbly ask for you to please seek the Lord with us in His provision for willing men and women to help us to minister directly to the boys and girls that the Lord will send to us this year. Thank you all for your past faithfulness to provide. We love you and your persistent prayerful support. We praise our God for each and every one of you! Pray also that the Lord will continue to lead in the completion of the renovation of our kitchen and shower house facilities. It is looking very good! Prayers of joy and thankfulness fill our hearts and our voices over what we see has happened – and is happening. How we long to see the completed outcome! We still need to put everything back together. We still need someone who is an experienced spray painter to help us with the kitchen cabinets. We have got them sanded – please pray for someone to help us get them primed and painted. If you can be of service in this way, please do not hesitate to call us at: 816-690-8465 or 816-277-7071. Thank you all for the way in which you have responded to our ongoing needs. We can’t tell you how that encourages us. We see it as a manifestation of God’s faithful leading and providing! We have listed a few expense items that make our summer months a little more financially straining. You may notice that the list is half the size as last year due to the fact that we were able to paint the dining hall and begin the projects in the shower house and the kitchen. We are so thankful to the Lord and to those of you who have prayed with us and even given toward meeting the extra needs we had last year.